In 2016, the University of Notre Dame entered into a partnership with the Federation of University Sports China (FUSC), the national organization for university sports in Beijing. This unique athletic collaboration has brought some of the biggest leaders in Chinese athletics to campus and Notre Dame leaders to China. It’s also allowed for some enriching experiences for Notre Dame coaches and students. 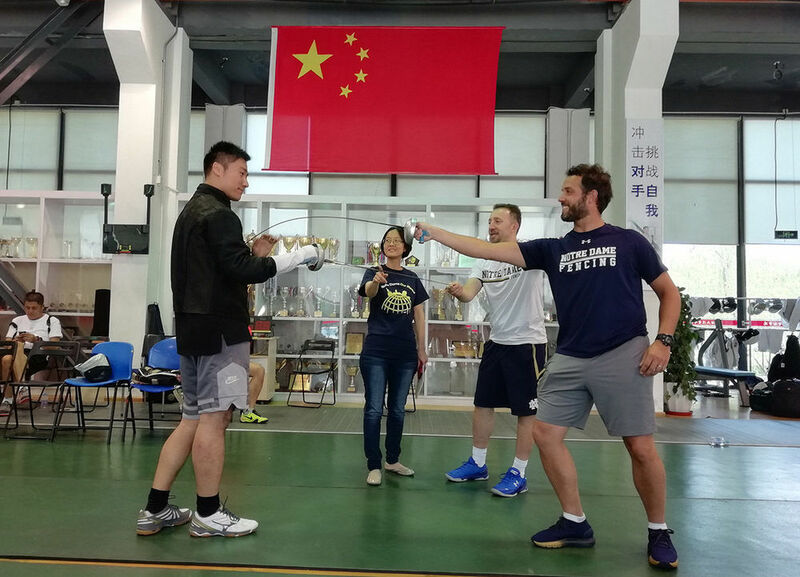 In early 2018, FUSC approached Notre Dame International with the idea of inviting Notre Dame fencing coaches to China. 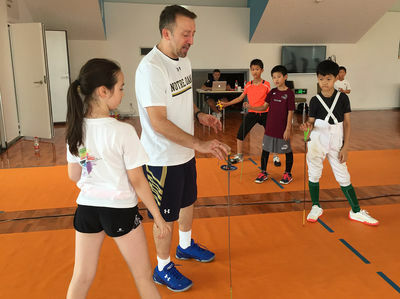 Notre Dame’s Head Coach Gia Kvaratskhelia and Associate Head Coach Cedric Loiseau spent August 3 through August 11 in Shanghai, China, hosting a series of clinics and camps for both Chinese fencing coaches and students. The clinic attracted 66 fencing coaches from universities and clubs from 20 cities across Greater China. The two camps attracted 44 young fencers from ages 9 to 17. This was the first time coaches of a Notre Dame athletic team were officially invited by the Chinese government to conduct nationwide training programs. Kvaratskhelia says it was an enjoyable and enlightening experience, for both the coaches and the participants. In August 2018, nearly 30 students, coaches, and staff from Northeast Normal University, Shenyang Polytechnic University, and FUSC representatives visited campus to meet with the Notre Dame women’s soccer team. The soccer players from China were observed by Notre Dame’s soccer coaches. 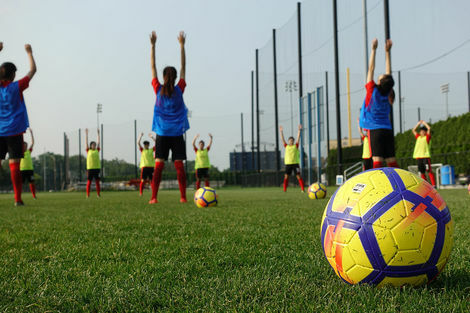 After practice, the Chinese soccer players and coaches then observed the Notre Dame women’s soccer team during their strength and conditioning training. Head Coach Nathan Norman and Notre Dame women’s soccer player Ann Marie Niro hosted a presentation for the entire group, giving more insight into the Notre Dame soccer culture and life as a collegiate athlete. It was an exciting opportunity for Niro, who studied Chinese and was familiar with the language and culture. Notre Dame International has been working with FUSC since 2016 and continues to identify new opportunities and partnerships. The relationship advances cooperation in higher education in the area of athletics between U.S. and China. The Beijing Global Gateway serves as Notre Dame’s central link to China in support of developing the University’s scholarly and educational cooperation with the Chinese government, universities and the international business community. Notre Dame International and FUSC are working on some similar programs with other Notre Dame athletic teams for 2019 and beyond. NDI will release those details once they’re finalized. Originally published by Colleen Wilcox at beijing.nd.edu on January 15, 2019.